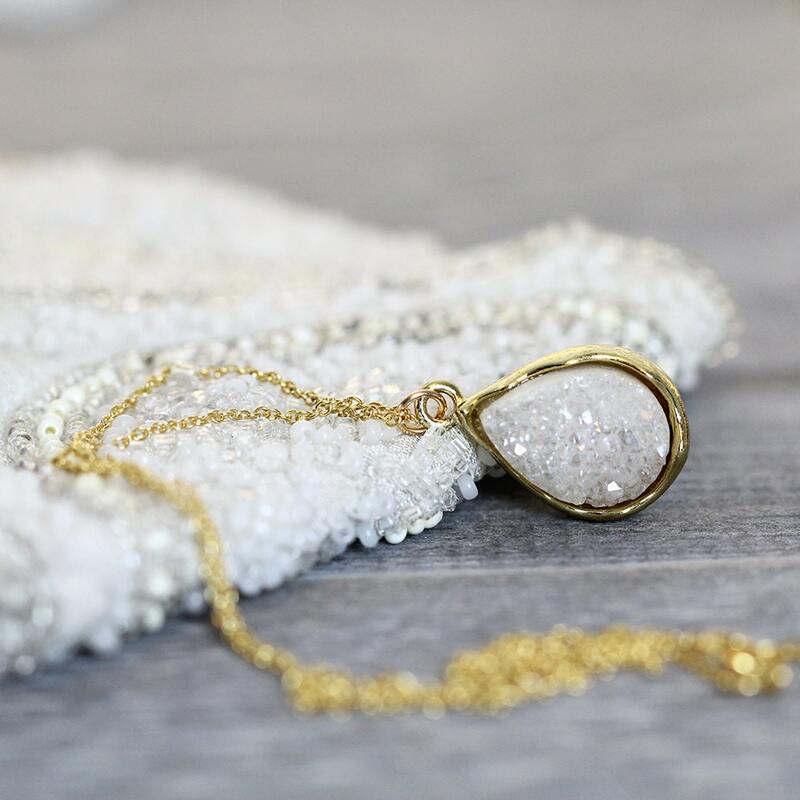 This exquisite off-white druzy necklace is simply beautiful and works with everything from modern to boho to bridal. It looks stunning with a simple knit, but will work with just about anything, including jeans or a dress. Perfect for the layered look, it makes layering easy and effortless - just throw your favourite pieces together to create your own unique look. 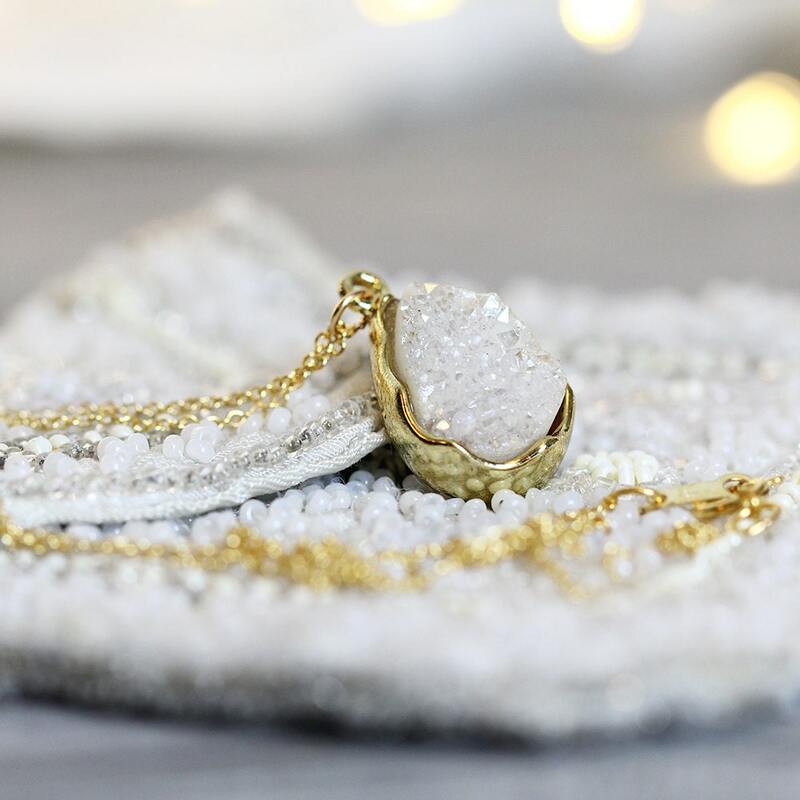 The gorgeous, sparkly iridescent druzy stone has been finished with a subtle titanium coating that gives it extra pizazz. 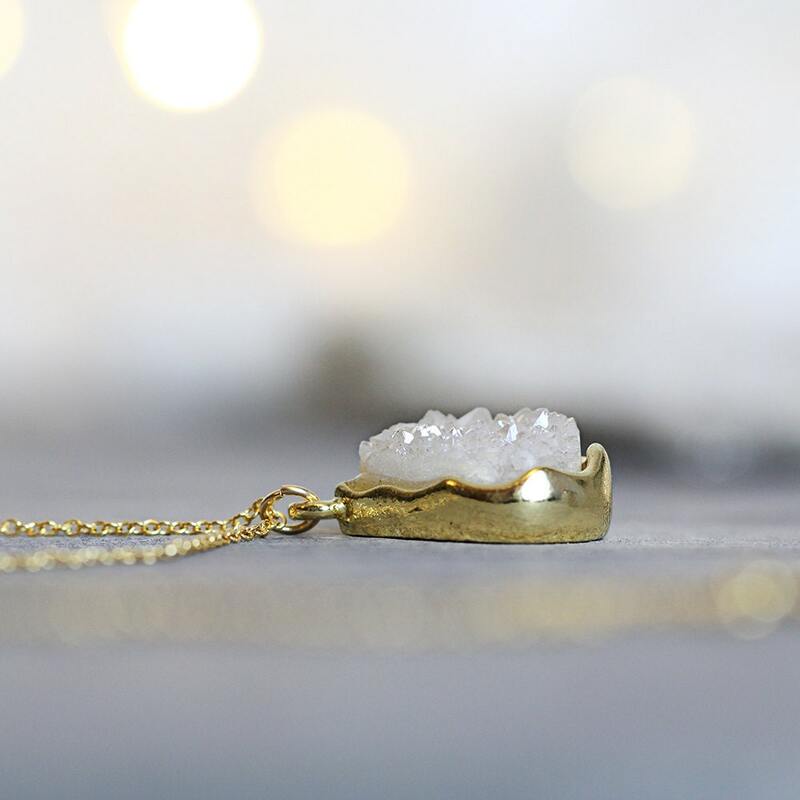 The stone is set in a top quality gold plated bezel setting with a wavy edge to show the stone off to it's best. The chain is 14k Gold Fill. 'Gold Fill' is the next best quality after pure gold - it is not a plated finish and therefore will not rub off. Fine layers of pure gold sheets are 'rolled' between layers of other metals (such as silver) and these layers bond together to form gold fill, or rolled gold, which contains layers pure gold rolled thoughout, right to the core. 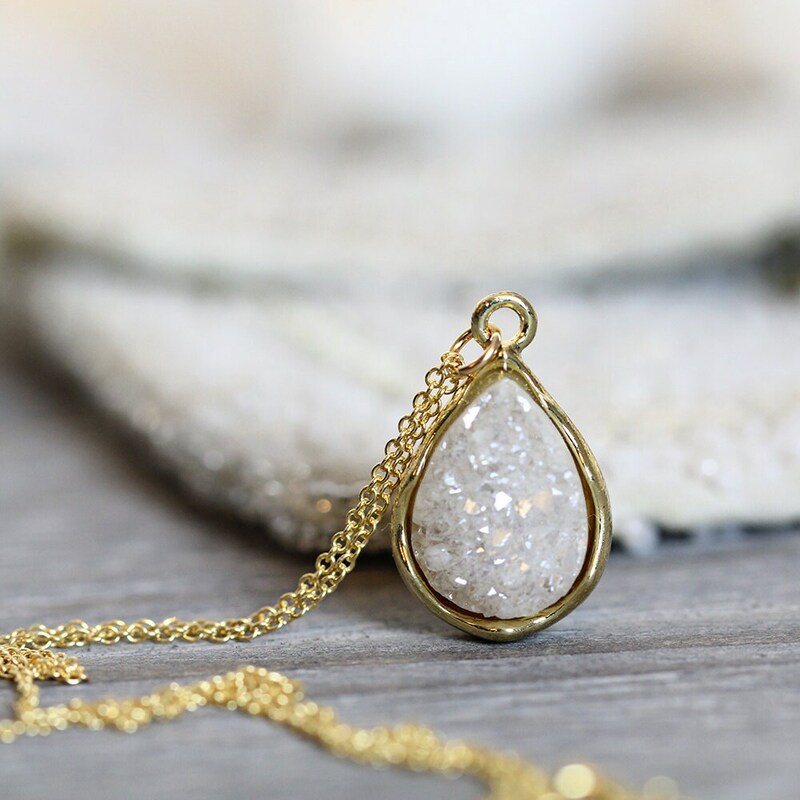 This white druzy pendant necklace make a gorgeous gift for women - for mum, sister, wife or friend - for any occasion such as a birthday, a graduation, an anniversary or Valentines Day gift. Ideal for those who like their style to be unique and elegant, and enjoy modern gemstone jewellery. 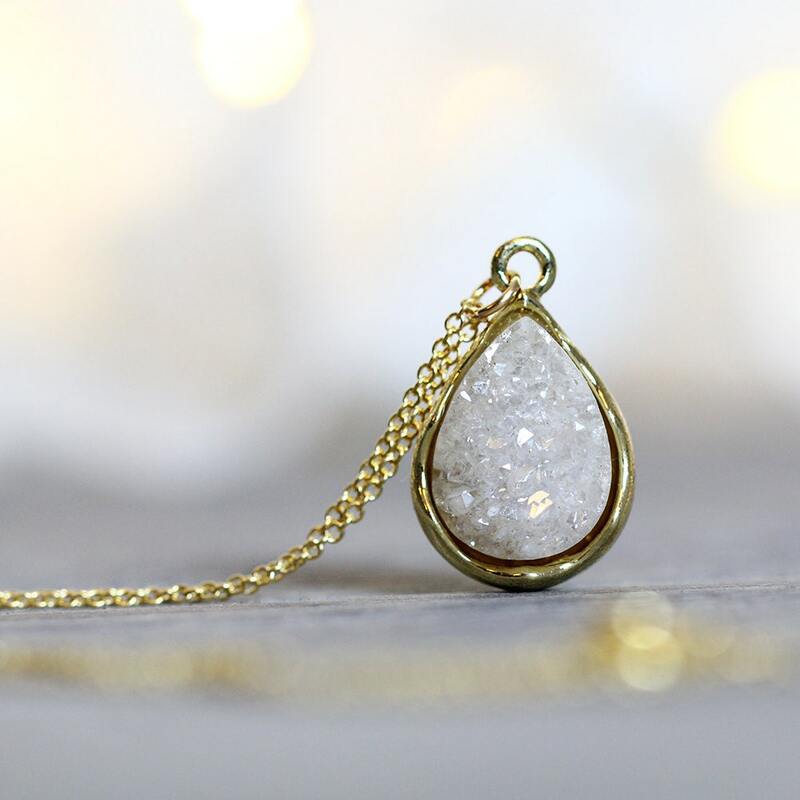 * Druzy stone is off-white and measures approx 15mm.